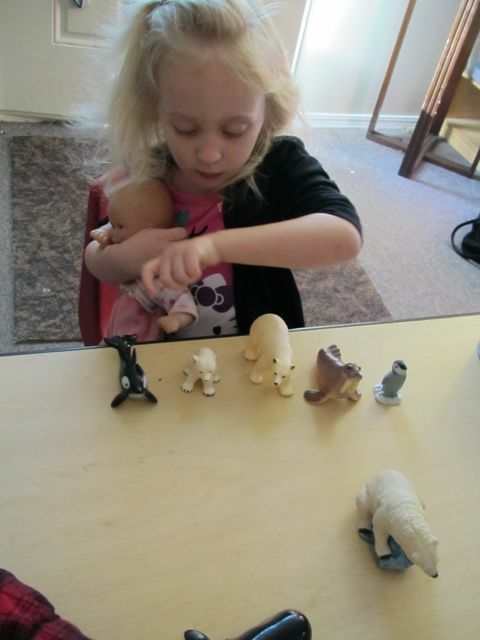 Today we started exploring polar animals a little . 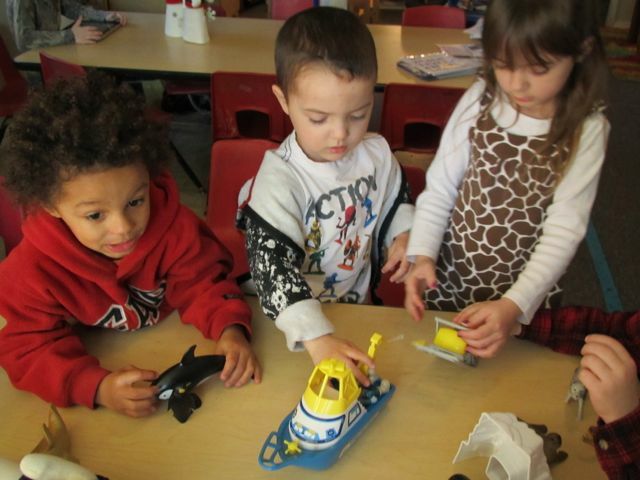 I love putting new things on the tables and watching them explore and decide how to use them. 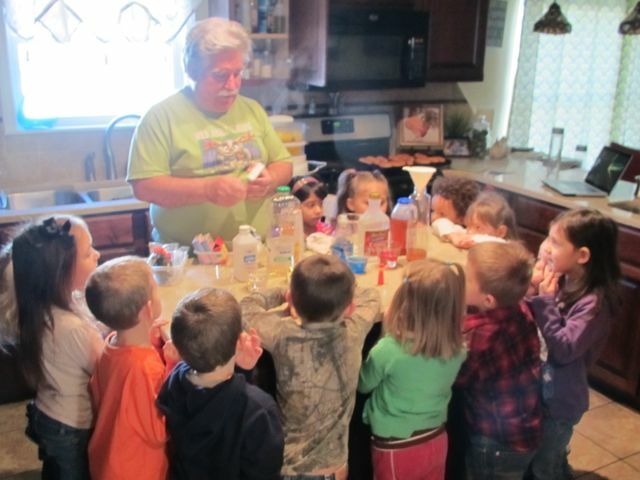 Just from this picture alone there are so many opportunities to teach concepts . Which is the smallest ? 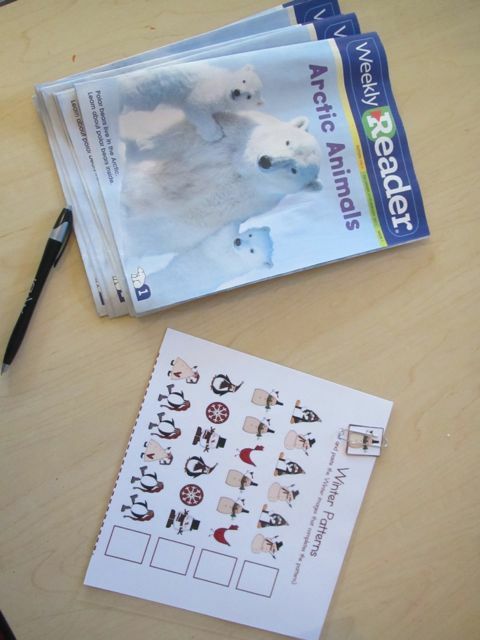 In small group today we looked an some old copies of the weekly reader I had . The generally love the weekly readers and it is a piece of paper they can take him that as a parent you can go over with them . 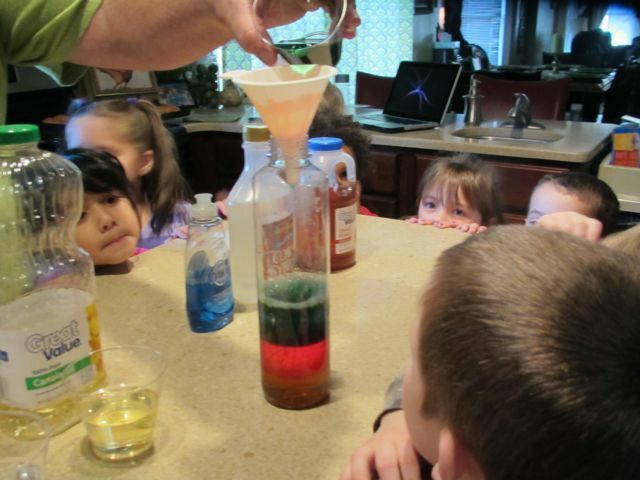 Randy did a density experiment with the kids today too. Density is how much something weighs. 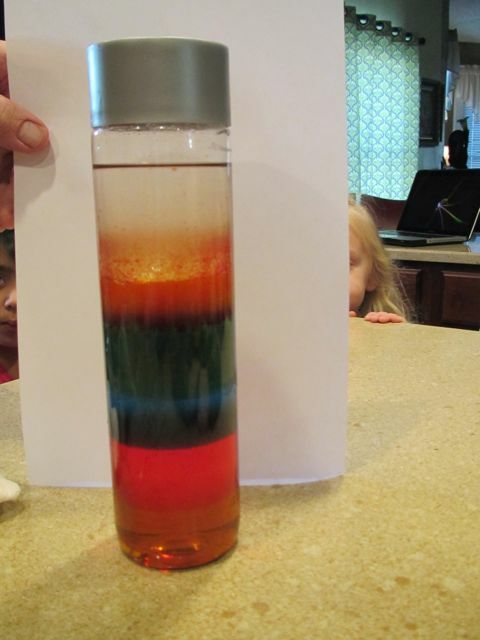 The kids was to layer the liquids so that they stacked on top of each other and didnt mix and made a rainbow. All in a days work … until tomorrow!